Utility Solutions Associates, Inc. is a Manufacturer’s Representative organization that covers the Water and Wastewater markets in the states of Missouri, Kansas, Nebraska, Iowa and Southern Illinois. Founded in 1995 by John Daugherty, who has 35 years of experience in the Waterworks industry, Utility Solutions Associates has grown by representing quality manufacturers and being responsive to utilities and engineers’ needs. Headquartered in the Kansas City Area, Utility Solutions Associates has experienced outside sales and inside sales and support personnel to better serve you. 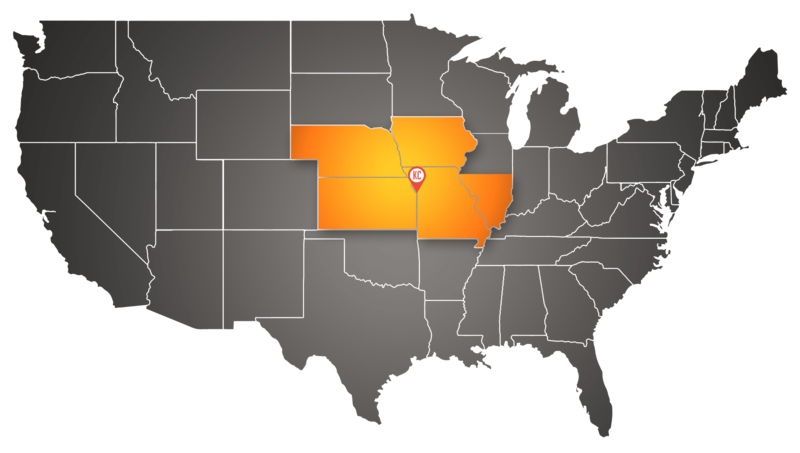 Though we cover Kansas, Missouri, Nebraska, Iowa and southern Illinois, we don’t represent all of our manufacturers in all of these areas. Click on the specific manufacturer below to determine if we represent them in your area. The manufacturers we represent produce technically-advanced, yet competitively-priced products that save time, labor and inventory, while ensuring quality and lowering operating costs/maximizing revenue for our clients. We work with and support your local distributors, who in turn stock and resell our manufacturers’ products. We sell a wide variety of products so that you have the best tool for the job. If you don’t see what you are looking for or have a question about the best solution for your project, contact us today.